Original Australian Daybill movie poster. 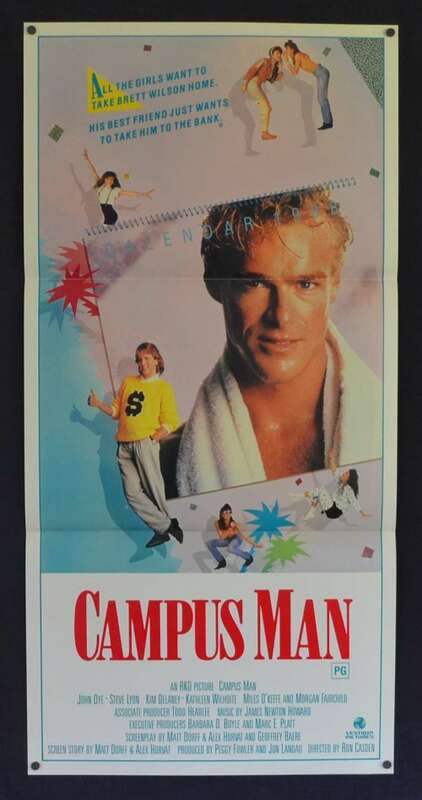 Campus Man is a 1987 American comedy film directed by Ron Casden and written by Geoffrey Baere and Matt Dorff. 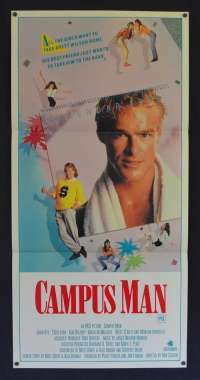 The film stars John Dye, Steven Lyon, Kim Delaney, Kathleen Wilhoite, Miles O'Keeffe and Morgan Fairchild. The film was released on April 10, 1987, by Paramount Pictures.